Danayal Zia had been advising clients for more than 17 years with Standard Chartered Bank (SCB). When he found ActionCOACH, the buzz came back and he knew this was the business for him. "My last assignment with the bank was in the City of London. The City culture just wasn't for me and I started to look around for something different. When I came across ActionCOACH, I fell in love with the organisation. I'd come from a dog-eat-dog environment but this team went out of their way to support people. I completed my due diligence in 17 days along with my wife, Aiza. I wanted to be part of this culture yesterday!" "I came out of training on 1 August 2016 and what an experience! It was high-quality training and great team building. In my corporate career, I attended training in New York, Shanghai and London but this was the best I've ever experienced. It was absolutely what I needed to get my business running. I had no idea how much help SME business owners really need. Coming out of the corporate world, you assume businesses would have basic systems in place – especially those turning over £1 million - but many don't and the training opened my eyes to the possibilities." By becoming an Action Coach, you'll be invited to a world of knowledge, experience and guaranteed returns on investment. You only need five clients to make it a profitable business and ActionCOACH helps you get those clients via its exclusive lead and client generation centre. "ActionCOACH helps me define the target market. They then provide the support, advice and tools on how to take each business to the next level - it's a culture of sharing knowledge and experience. There is a huge emphasis on personal development which I love. They recommend you focus on reading to ensure you're at the cutting edge of the world of business growth plus they arrange access to the best minds in the market through online seminars and a variety of conferences. I've experienced more personal development this year than in the last 17 years of my corporate career. The more I grow, the more I can help my clients grow." Danayal set himself some big goals to grow his business. He worked with two of ActionCOACH's master coaches, Richard Hayley and Pam Featherstone, and he moved into an office to keep him focused on those goals. "My 6 month goal was to make the same income as I did in my corporate life. At the end of year one, I wanted to exceed the salary I used to make. I smashed those goals and, with nine one-to-one clients on weekly or fortnightly coaching, I am making triple my old income. My next goal is to build a firm of coaches in year three." "ActionCOACH has given me more buzz in the last 12 months than I've ever felt before in my career. The feeling hasn't subsided either. This journey has been amazing. I'm motivated to get out of bed every morning, transforming the businesses and lives of my clients. It's hugely rewarding. "My ultimate goal is to build a coaching firm which allows me to volunteer four days a week, either using my coaching skills to help a local charity or just selling poppies for the Royal British Legion. 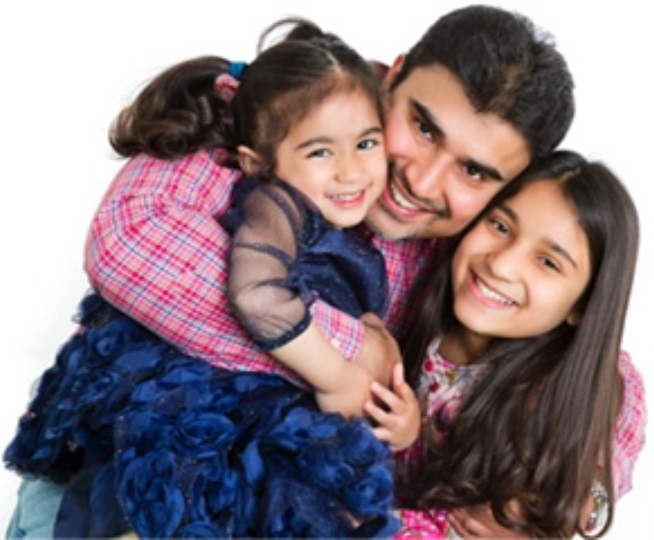 I've been married to Aiza for 16 years and we have three daughters aged 3, 12 and 14 - so they keep us very busy! There's so much I'd like to do to give back and growing my ActionCOACH business will provide the platform to achieve all that." Please complete the short form below to request more information from ActionCOACH. If you choose to register an account, in the future you will be able to login using your email address and password to quickly request information from other companies.